MyProtein is a leading retailer of protein and fitness supplements, based out of Northwich, Cheshire, England. The company operates as subsidiary of the Hut Group, and sells its range exclusively online at MyProtein.com, where they sever a worldwide customer base, including the United States. MyProtein sources and brands its own products, selling them at very affordable prices, rather than stocking well known brands. You can make even more savings on your purchases by redeeming one of our MyProtein coupons. We update this list whenever new offers and deals become available, so be sure to check back before ordering! MyProtein was founded in 2004 and originally focussed on protein powders and other protein products for the UK market. They quickly expanded in to all core bodybuilding and fitness supplements (such as creatine and multi-vitamins) and began serving a worldwide customer base. 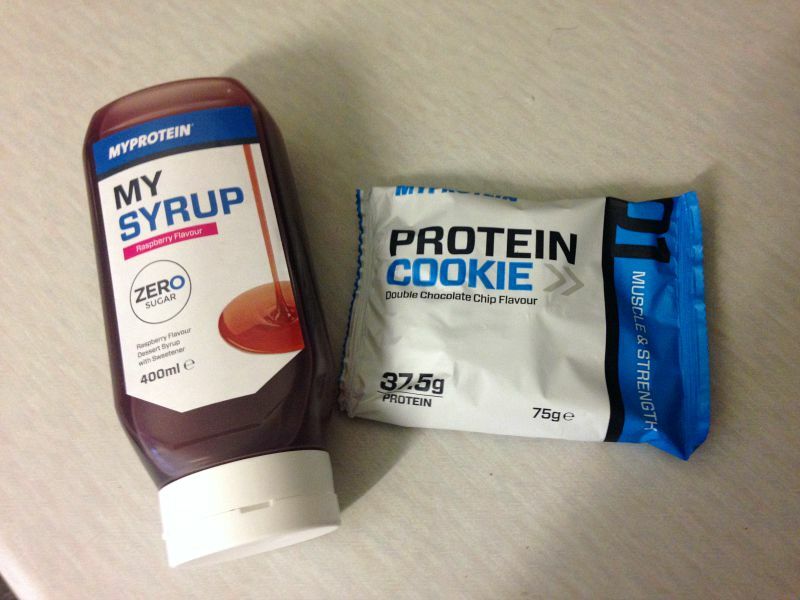 MyProtein was acquired by the Hut Group in 2011, a privately held company that focuses on eCommerce businesses. MyProtein owns manufacturing and supply facilities in both the UK and United States, in Kentucky. Their products have been tested by the anti-doping laboratory, LGC Sport Science, to certify that they contain no banned substances and are safe for professional athletes. The company is believed to make millions in yearly revenue. Protein Powders: Whey, Casein, Milk, Meal Replacement & Weight Loss Shakes, Weight Gain Shakes. Vitamins & Minerals: Multi-Vitamin packs, Fish Oil, Fatty Acids, Superfoods. Amino Acids: Glutamine, BCAA, Amino Acid Blends (Pills & Powders). Creatine: Monohydrate Powders and Pills. Carbs: Fast & Slow Carbs. Foodstuff: Protein Bars, Protein Cookies, Prepacked Protein Foods, Nut Butters. Pre, Post and During Workout Formulas, and Weight Gain Supplements. Accessories: Scoops, Tubs, Bottles, Shakers & Mixers, Favorings & Sweeteners, Pill Boxes, Lifting Straps, and much more. Apparel: Men's & Women's fitness apparel, including Under Armour and MyProtein branded merchandise. Discounted items and listed on the homepage and these can be coupled with one of our MyProtein discount codes to make great savings! The site is very easy to use, allowing customers to browse using the above categories or the search bar at the top of the page if they have something specific in mind. There is also an Articles & Advice section, full of info on fitness, bodybuilding and health. Product pages also have hand user ratings and reviews to help you make up your mind. The site caters to individuals and bulk buyers. So if your business or organization requires you to buy in bulk you can apply to open a trade account, Regular individual customers also might want to sign up to their Rewards program that earns you points for every purchase, which can then be redeemed for future discounts. You can also easily checkout and pay using you PayPal account. 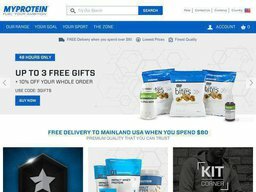 Redeeming a MyProtein coupon code couldn't be easier. Prior to the payment step during checkout you should see a promo box where a code can be entered. Simply copy and paste one over from Coupofy, and if valid you should see a confirmation message. Your total order cost should then drop according to the terms of the coupon. Within the US there is a flat rate of shipping of $5.99 for the FedEx Ground service. The speed of delivery depends on the state you are located. If your order total is valued over $70 you get free shipping without having to use a US MyProtein discount code. Orders to Canada cost a flat rate of $9.99, with orders over $200 shipping for free. The company also delivers worldwide from several regional websites. MyProtein operate 14 day return policy allowing you to return unopened and unused products within 14 days, no questions asked, for a refund of the sale price. Original and return shipping costs can only be reimbursed if you received items in error or they were somehow defective upon arrival. In this scenario you should contact customer support right away. You must also contact support before returning an item to get authorization and further guidance.